Internet Archaeol. 27. Galaty et al. Fort, Tower or House? 1. Department of Sociology and Anthropology, Millsaps College, 1701 North State Street, Jackson MS 39210 USA. Email: galatml@millsaps.edu. Use for all correspondence. 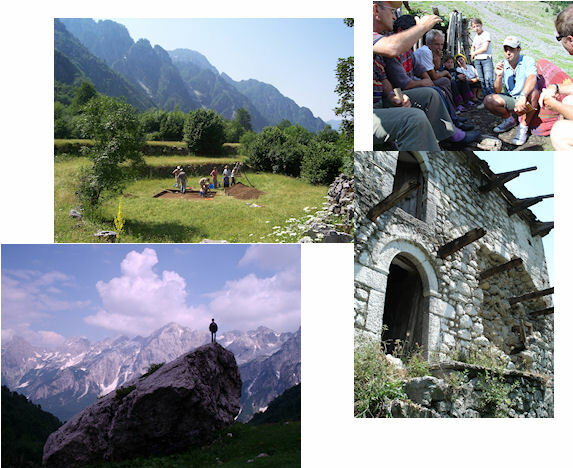 This article presents the results of archaeological, (ethno-)historic, and ethnographic research in the Shala River valley of northern Albania. We argue that through time and in different periods of occupation - Middle Palaeolithic, Iron Age, Late Medieval, and Modern - the valley's residents have met similar challenges of extreme geography and a harsh environment differently, in particular by interacting in different ways and at different levels of intensity with the outside world. These shifts caused changes in population, settlement, and socio-political organisation that are reflected strongly in the local landscape and built environment. Population, settlement, and socio-political organisation did not hold constant, but were influenced by external forces, despite the seeming isolation of the valley and its occupants. This article demonstrates how thin material and documentary records can be greatly enhanced through carefully integrated, interdisciplinary studies of settlement, home construction, and neighbourhood expansion and abandonment. We present select results drawn from an on-line database and GIS, along with photos, drawings, and audio recordings of transcribed interviews. An interactive system of blogs allows the authors to direct readers to additional sources of data, and readers to tell authors and other readers how they have accessed and displayed these data, and with what results. This is a LEAP II project exemplar. Preparation of this electronic publication and associated archive was assisted by a grant from the Andrew W. Mellon Foundation.